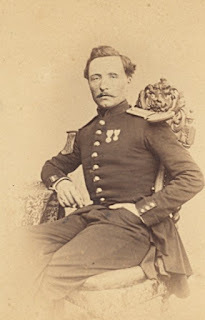 OK, so not Crimean War but here is a collection of photographs of the Officers of the 40e taken in 1862 at the request of Capitaine Louis Barnet (1820-1896). 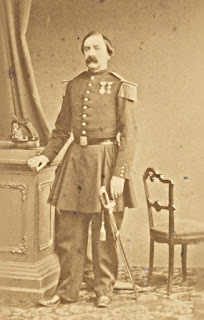 In 1862 the 40e were part of the French garrison in Rome and the depot was in Agen. 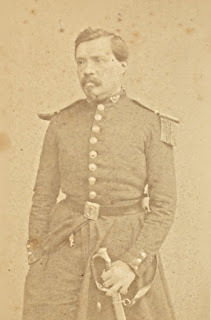 The regiment did not take part in any of the campaigns of the Second Empire. 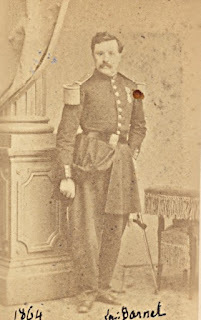 All pictures copyright Anthony Dawson.Please do not reproduce without permission. Pictured below is Hugues-Charles-Firmin, Vicomte de Bernard, Comte de Seigneurens (1819-1888), photographed here as Major of the 40eme Ligne in 1862, proudly wearing the Légion d’Honneur which he was awarded in that year. From 1863-1870 he was Major in the 3eme Grenadiers of the Imperial Guard. 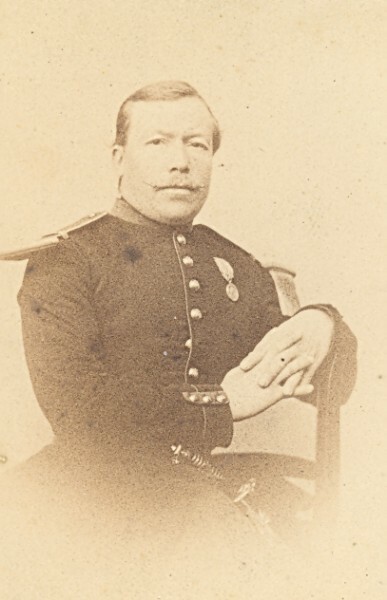 St. Cyr 1838-1840; Sous-Lieutenant 37eme 1840; Lieutenant 1845; Captain 1850; Major 40eme 1859; Lieutenant-Colonel 3eme Régiment de Marche 1870; Colonel 39eme 1870; Général de Brigade Auxillaire 1871; Colonel 74eme 1871; retired 1876; imprisoned for fraud and embezzlement for 8 years and stripped of the Légion d’Honneur 1882. 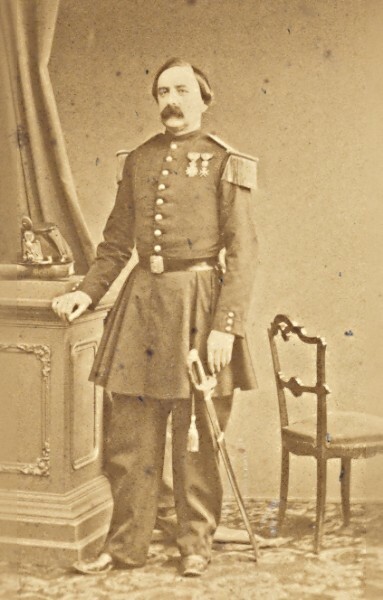 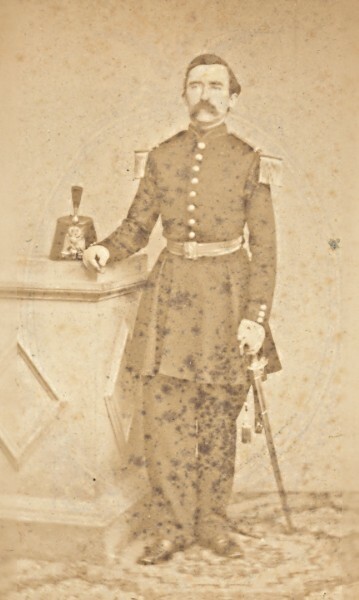 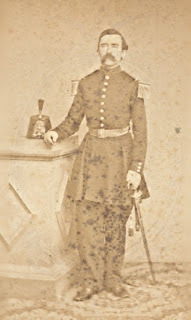 Here, below, is Capitaine Joseph-Louis Pezet; he was promoted from Sergent-Major to Sous-Lieutenant in June 1851 and as the most junior Sous-Lieutnant was also the Porte-Drapeau; Lieutenant May 1854 and Captain 1862. 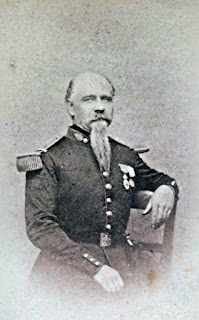 Below is Capitaine Charles-Lucien Vaultrier: Lieutenant 1856;Capitaine 1862. 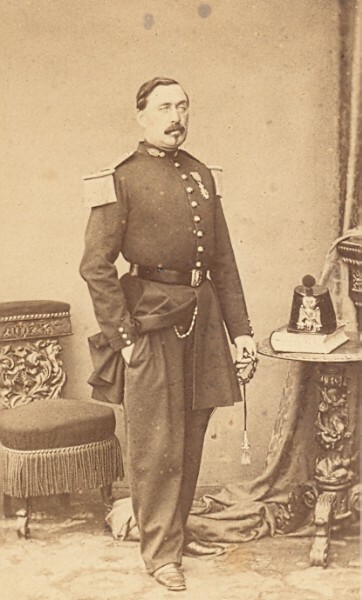 Above is Capitaine Pierre August Marie Desance, commander of the Grenadier company of the 40eme from 1859. 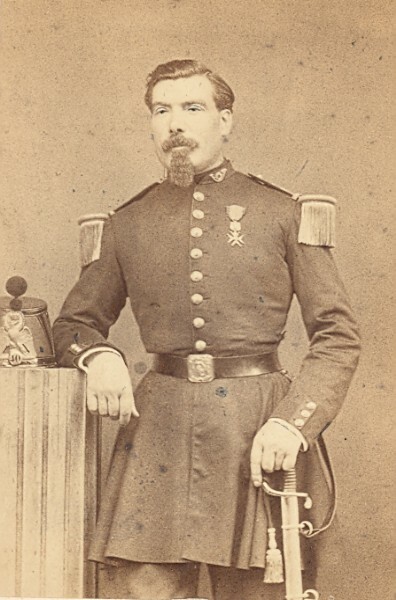 Below is Lieutenant Desire-Edmond Duhan: Sous-Lieutenant 1854; Lieutenant 1859; Capitaine 1865.